This simple minced chicken stir-fry is for friends out there who are studying hard for their exams but need a quick fix for their hunger. Put a frying pan on a high heat. Drizzle some oil (either olive oil or vegetable oil is fine) on the frying pan. Soak the dried prawns with some hot water to soften it. Drain the excess water. Put the garlic along with the softened prawns and fry for 1-2 minutes. Add the minced chicken. Keep stirring every now and then for about 7-10 minutes or until cooked through. 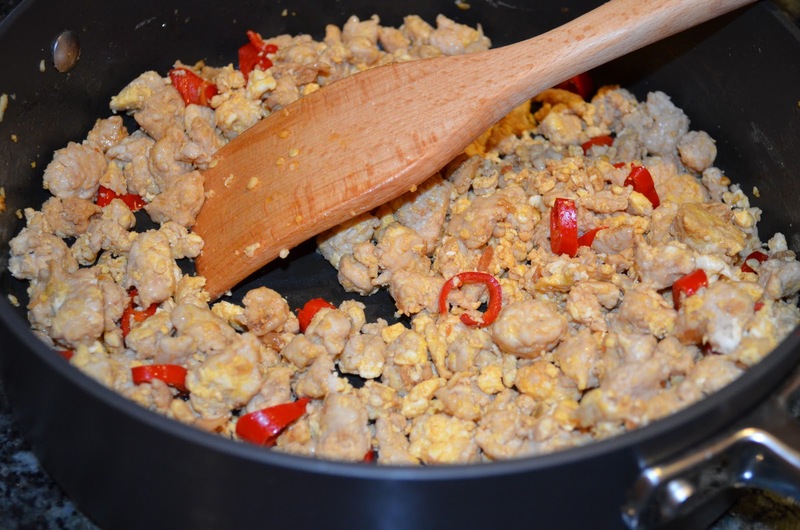 Add the eggs into the chicken, keep stirring until cooked through which should take about 3 minutes. Put about 1 tablespoon of chilli oil and salt and pepper for seasoning to your liking, always have a taste when adding them. 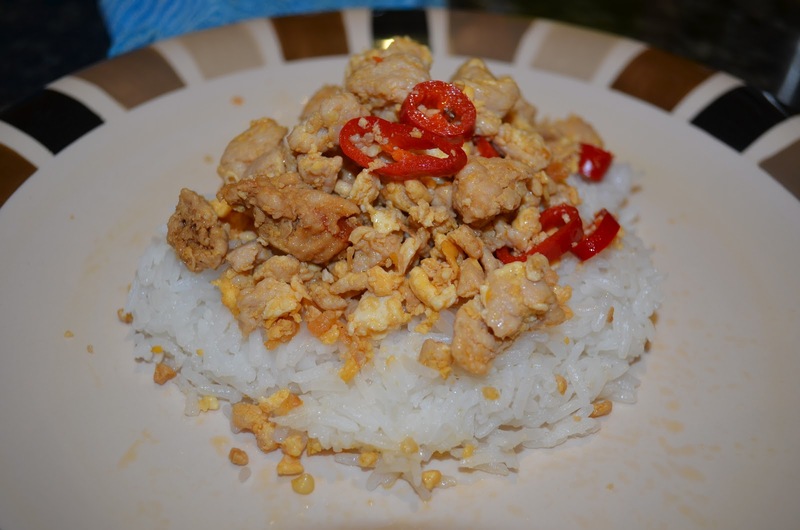 If you like spicy food, add the fresh chilli into the chicken and combine well. Serve over steam rice. Easy peacy!